Fanfiction Chara-Design - [Spoiler!] 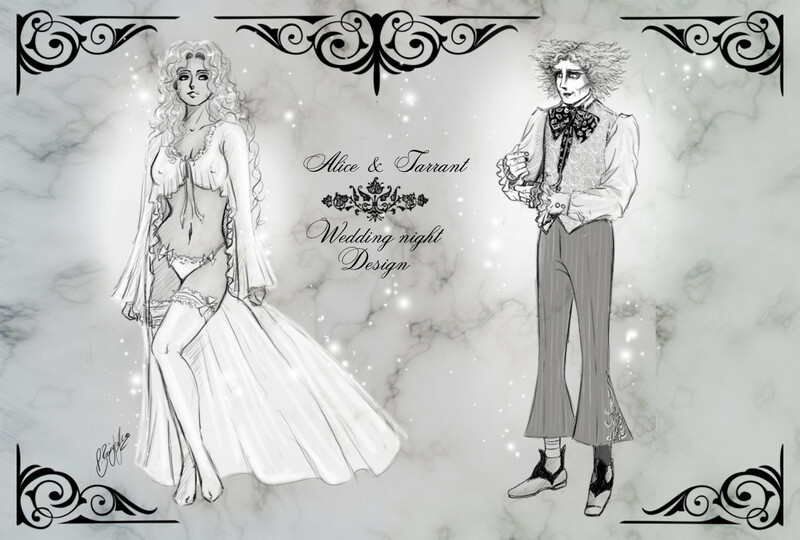 *~* wedding night style *~* AliceXMadHatter-Lineart. I simply Liebe these couple. And yes they belongs together!!!! They are Mehr than just Friends -.-. HD Wallpaper and background images in the Alice im Wunderland (2010) club tagged: tarrant hightopp kiss love couple mad hatter madhatter alice halice happy end alice in wonderland film tim burton's alice in wonderland 2010 movie disney. And you can find so many stuff other in the WWW which is much more worse than that (e.g DeviantArt)... also to these movie... so to play an upholder of moral standards is redundant. -.-° I´m really sorry! I love this! hmmm im beginning to think if you're the one who wrote those fanfics that i read haha!